The Downtown Akron streets are alive with the sounds of music. Downtown Akron Partnership and several local businesses are working together once again to offer live, local, lunchtime concerts this summer. We want to encourage downtown employees, residents, students and guests to enjoy and explore the neighborhood. 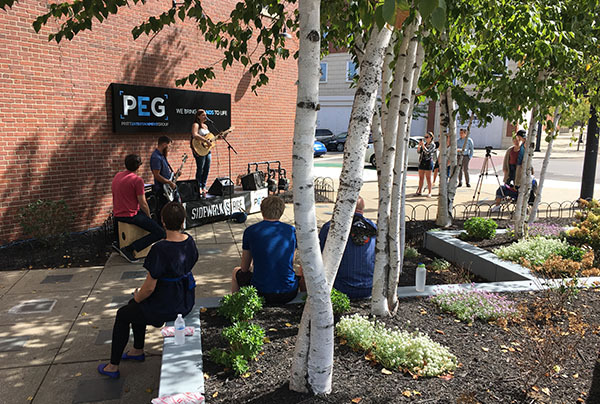 Commerce Park, the quaint little pocket part at 11 S. Main St. between The United and Nantucket buildings, will host live performances every Wednesday from 12-1 p.m. through the end of August. The Nantucket Concert Series is presented by Huntington Bank with additional support from Albrecht Inc., Brennan Manna Diamond LLC, FirstEnergy, JacksonKelly PLLC, Metisentry, Niekamp, Weisensell, Mutersbaugh & Mastrantonio LLP and Roderick, Linton, Belfance. Local favorites like Jen Maurer, Rachel Roberts, Brian Lisik, Kofi Boakye and much more are slated to perform. View the full line-up at downtownakron.com/Nantucket. Feel free to bring your lunch or grab a bite any one of the eateries close by like Chameleon Cafe, Stray Dog Cafe, Subway North or Natalie's, Quiznos, Angel Falls, Vibe Fresh Market and Wafa's in the Shoppes at Akron Centre. The ever-popular Sidewalk Stage, presented by Pritt Entertainment Group (PEG), returns for a third year with a slight twist. Instead of moving from location to location down Main Street, the sounds will come directly from the courtyard of the PEG offices in the heart of the Canal District. These concerts run every Thursday, June 1 through Aug. 31 from 12-1 p.m. and features its own array of local bands and artists. Many great places to grab lunch are in this area too, such as local favorite, Diamond Deli, Pita Pit, Jimmy John's and others. 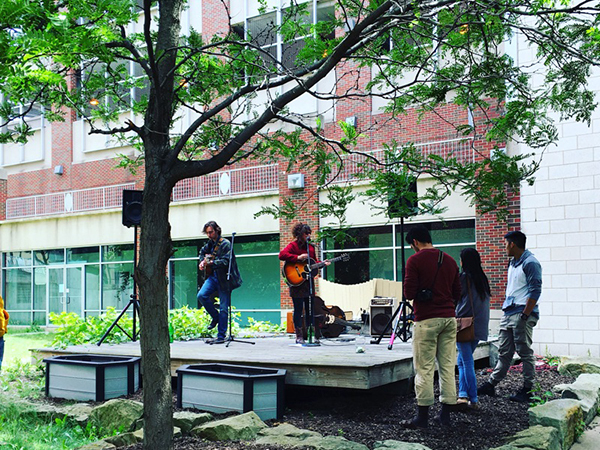 Visit downtownakron.com for more details on the summer lunchtime concerts and follow and share your experiences on Facebook, Twitter and Instagram.